This is a sponsored post written by me on behalf of Minute®. Sometimes you need a meal on the fly. I'm a huge fan of rice that is already made and that I can pop into the microwave for a quick side dish or that can be mixed into a meal. Make it organic, and it's a total package winner! 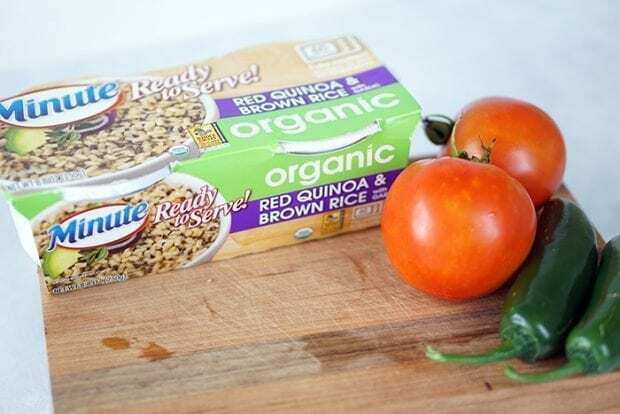 Minute® now makes Ready to Serve Organics cups to answer consumer's rising demand for organic and “better-for-you” options. They are perfectly portioned to take with you for a lunch meal at the office as well. Just 60 seconds in the microwave and they are ready to eat. 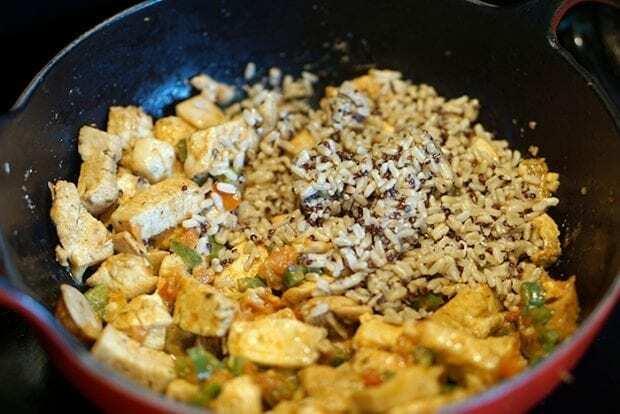 I used Minute® Ready to Serve Organic Red Quinoa and Brown Rice with Garlic in this yummy Easy Dirty Rice recipe! I used some farm fresh ingredients from our garden as well. 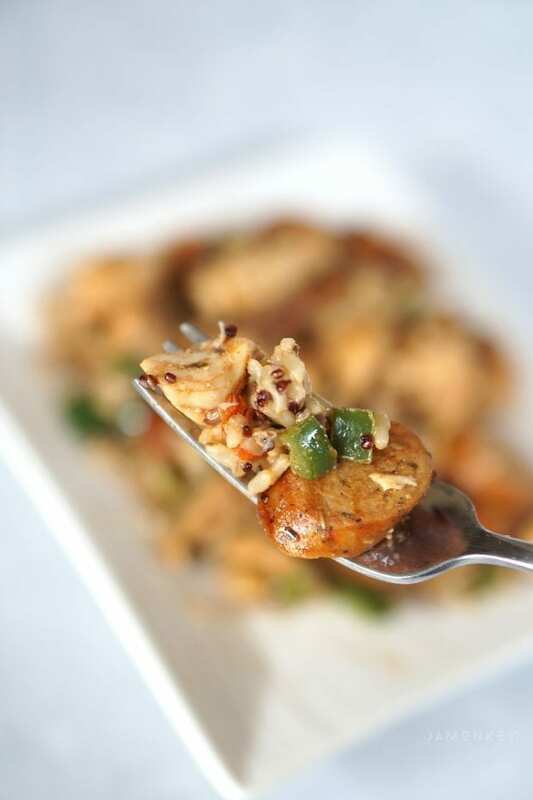 Dirty rice gets its name from the fact that the rice is “dirty” from the seasonings and pan grit from cooking. 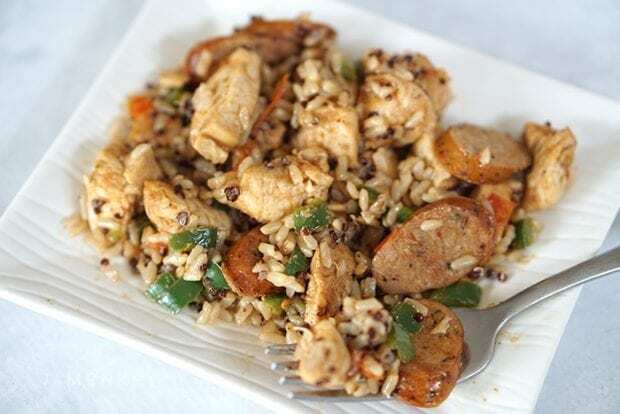 Dirty rice typically uses ground pork, but because I don't eat pork, I substitute with chicken and Andouille (chicken) sausage. 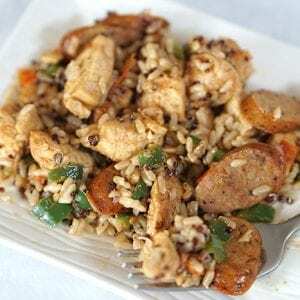 For this recipe, I diced the chicken and gave it a good coating of Cajun seasoning before cooking in a large skillet. I also browned the Andouille sausage and set them both aside. Dirty rice can be made with jalapenos or bell peppers; it depends on your love of spicy foods. We went the spicy route. Saute the jalapenos and then add in the garlic and tomatoes. Last, add in the Minute® Ready to Serve Organic Red Quinoa and Brown Rice with Garlic into the hot skillet. Combine with all the meat as well and mix well. The possibilities are endless for these easy to heat and serve cups. After I had mixed everything together, I was able to portion everything for quick heat and eat meals. This recipe makes four portions, so my husband and I got a yummy lunch this week. Cover the diced chicken with Cajun seasoning until evenly coated. Cook on med-high heat until cooked through. Set aside. Brown sausage and add to chicken. Add tomato and garlic to the pan and continue cooking for 3 minutes. 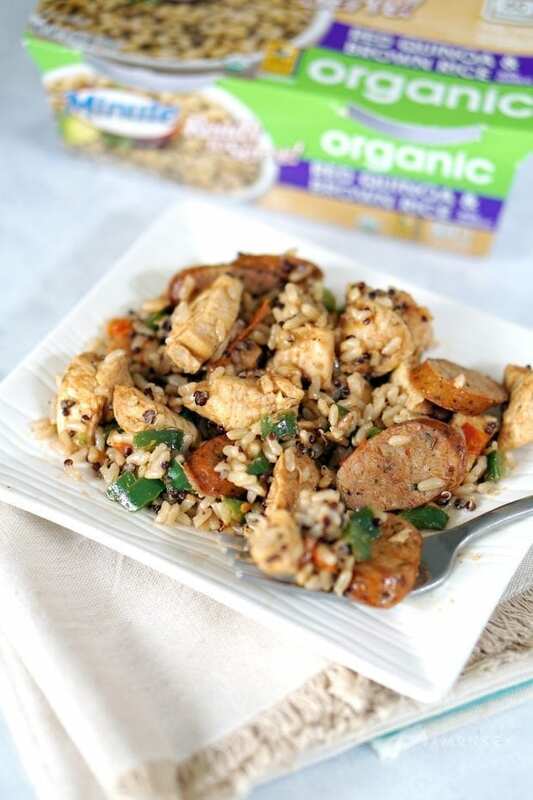 Put Minute® Ready to Serve Organic Red Quinoa and Brown Rice with Garlic into the hot skillet. Mix everything together. Serve and enjoy!